In July, Chicago Alderman Ameya Pawar introduced legislation for a universal basic income (UBI). Pawar’s UBI bill would deliver $500 per month to 1,000 Windy City families—no strings attached. 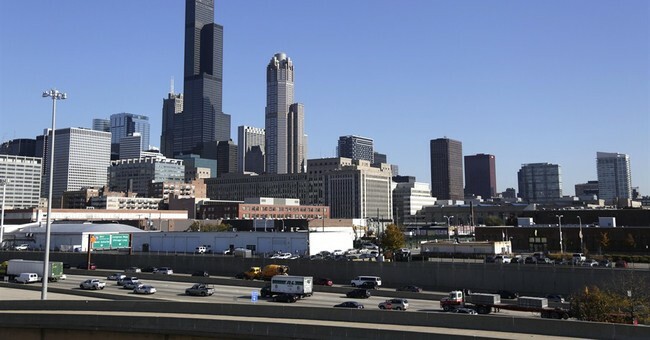 Chicago isn’t the first American city to consider implementing a UBI. Stockton, California—a city that declared bankruptcy in 2012—adopted a UBI that will give 100 residents $500 per month for 18 months beginning in 2019. According to Lori Ospina, director of the Stockton Economic Empowerment Demonstration, a segment of Stockton’s population is extremely interested in the program. “My email inbox is inundated daily with residents from the community wanting to know, ‘What’s the sign-up process? Has it already started? Am I already too late? What do I have to do?,’” Ospina said. Shocking, I know—a “free cash giveaway” is insanely popular among Stockton’s downtrodden. Besides UBI’s immense appeal to some voters, why would lawmakers want to enact yet another welfare program doomed to fail? Since the launch of the War on Poverty in 1965, the United States has spent an estimated $22 trillion on anti-poverty programs. And what have taxpayers received in return? Nothing more than mountains of red tape, huge bureaucracies, and rampant cronyism and corruption. The poverty rate has barely changed. In oft-repeated (and baseless) talking points, politicians and “experts” claim the UBI has elixir-like powers to alleviate poverty. They argue that providing direct cash payments is moral, encourages innovation, and is necessary given the onslaught of automation that will destroy so many jobs. These audacious claims beg the question: Do UBI programs really make poverty magically disappear or are they simply another illusion by delusional politicians? Recent examples suggest UBI is more akin to a political sleight of hand than a vanishing act. For example, Finland abandoned its two-year UBI experiment in April because it failed to reduce unemployment and placed a large economic burden on Finnish taxpayers. In 2015, the Finnish government began giving 2,000 unemployed residents $658 per month after the unemployment rate reached a 17-year high of 10 percent. During the two years the UBI was in effect, Finland’s unemployment rate decreased less than 1 percentage point, and it remains the highest among all Nordic countries. Additionally, only 35 percent of hard-working Finns supported the UBI when told they must pay more taxes to keep the UBI program afloat, according to a study by Kela, The Social Insurance Institution of Finland. On the other side of the Atlantic, Canada, citing high costs, recently pulled the plug on its three-year UBI pilot program, which lasted less than one year. Under the Canadian UBI model, 4,000 Ontario residents were given a maximum of $16,989 per year for a single person or up to $24,027 per year for a couple, less 50 percent of any earned income. The program’s initial budget was $150 million. What do Canadians think about the UBI? According to a 2017 study by Ipsos, 60 percent of Canadians believe a UBI would make people reliant on the state and discourage seeking employment. Furthermore, 52 percent ofCanadians believe a permanent UBI program would increase taxes to unaffordable levels. Although the evidence in favor of creating UBI programs is dubious, liberal elites are embracing them en masse, just as they have numerous other failing programs, including minimum wage hikes (which kill jobs), rent control (which limits housing access), and a plethora of welfare programs (which destroy families and breed government dependence). Liberal lawmakers are attempting to conjure the ultimate illusion upon the American people: convincing them a UBI will be the magic wand legislators can wave to make poverty disappear. Let’s hope the American people see through this hocus-pocus and break the UBI curse.